To Fit: Mercedes ML 1997-2005. High quality re-manufactured part. Reconditioned by our local BOSCH agent, using the latest knowledge and specialist tools. Each injector is re-manufactured, and tested to exacting tolerances. To this end each injector is supplied with a 12 month or 12,000 mile no quibble warranty. These units are a high quality re-manufactured item, as such a refundable exchange unit charge is incurred when purchasing. This sum will be refunded to you once you have returned your existing unit to us, together with your order details. 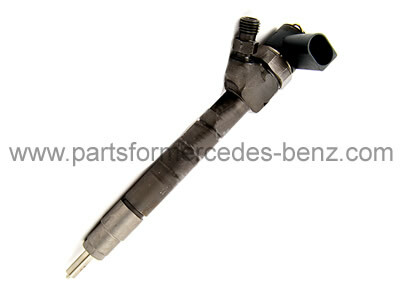 Equivalent Mercedes part number; A6130700187, A6130700587 and A6130700887 (for reference only).